This lightweight Compact Bicycle Pump is perfect to pop on your bike frame to have handy in times of need on the go! Going on that bike ride through some nasty terrain and expecting your bikes tyres to loose pressure? Or you simply like to be organised and well prepared! 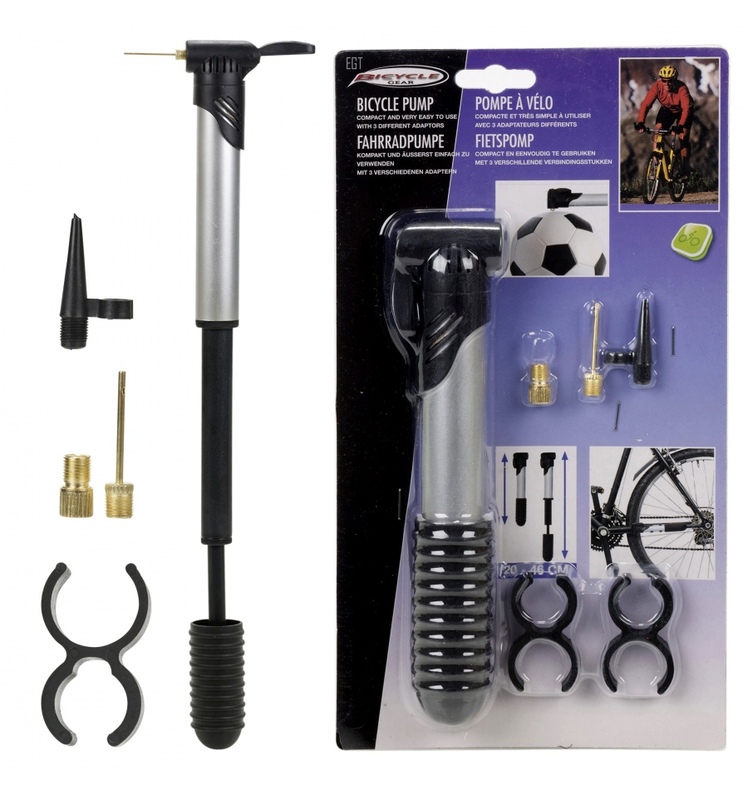 This lightweight Compact Bicycle Pump is perfect to pop on your bike frame to have handy in times of need on the go! It includes 3 different adapters meaning it can be used for a variety of uses from inflating balls inflatable toys etc as well as your bike tyres of course!